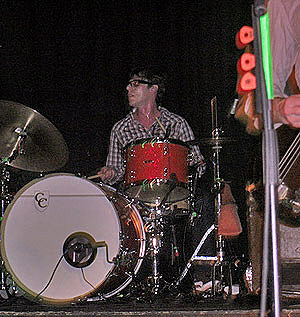 We are Scientists are currently touring overseas with a new drummer, and giving self-help. UCB just made the news for hosting the upcoming (private) episode of Saturday Night Live. 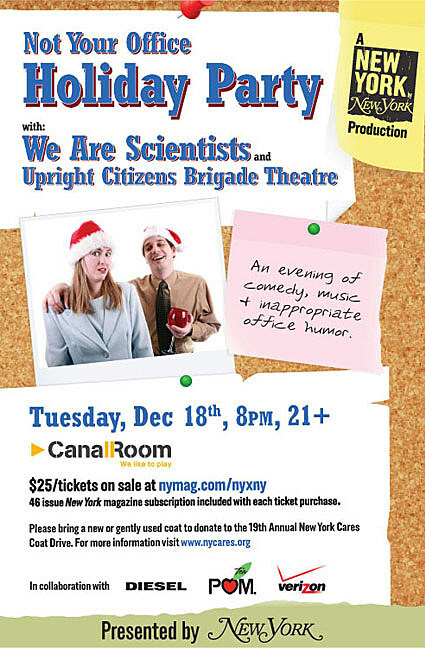 On December 18th WAS & UCB will come together at the Canal Room for NY Magazines’s “Not Your Office Holiday Party“. Flyer below…. For more UCB news, read this week’s Comedy Canon. NY Magazine’s last event was the one in a church with Dan Deacon and Chromeo.